Our school reading specialist and I decided to revisit our middle school student book club. We took a year off from it for several reasons, not the least of which was lack of interest by students and us. It had been run like a traditional book club, everyone reads the same book and meets twice a month after school to discuss the book. Our problem was that our after school clubs meet for an hour and a half, and that time was too long to just discuss a book and choose the next one. We tried having everyone read a book by the same author to give more choice. We found a similar, disinterested reaction. Our students were happy to talk about the book for about half an hour, but wanted the rest of the time for social chat. We tried coming up with some related crafts to fill the time. Everyone painted one of the standard ceiling tiles with a reading theme or based on a book. This was a hit and made for a colorful library ceiling, but that only covered two meetings. We tried to make the book club available 24/7 through an Edmodo group to develop stronger relationships with our students, and get everyone to share what they were reading.The students found it to be just an extension of what some of their classes were already doing – it was too much like school. Our attendance dropped off, resulting in no book club for the last school year. We needed to regroup and rethink what a book club looks like for middle school students. In the meantime, the library has had some spontaneous, pop-up or “lunch bunch” book clubs. Groups of four to six students create their own book club by reading the same book and meeting during lunch to read and discuss it. These clubs may read only one book and disband or choose to read several throughout the school year. Lunch bunches are not formal and are student led. Usually, student visitors will notice a lunch bunch eating and meeting in the library and then form their own with their friends. We just monitor to make sure the noise level is appropriate and suggest books when the club is stuck for ideas. It is very hands off for adult participation. A way to inspire students to create their own lunch bunch is to create a display of books that have multiple copies for a lunch bunch club. We hope our lunch bunches will meet again this year. YALSA 101- What I learned attending this session twice! 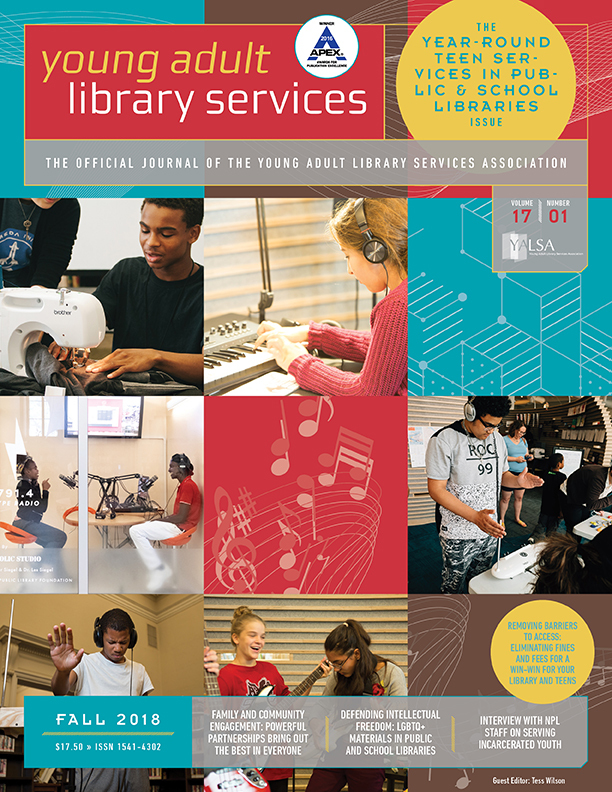 By Lisa Castellano July 5, 2016 July 5, 2016 Advocacy, Committees and Volunteer Opportunities, Conferences and Symposia, Continuous Learning, Leadership, New Librarians and Library Staff, School Libraries, YALSA Info. My second ALA annual conference is done and I am starting to feel like a seasoned pro. However, I am still learning so many new things I missed my first time around. I attended YALSA 101 last year and was inspired to be more active. A few months later though, I had forgotten about time requirements for “book” committees, what exactly were award committees, and there was something about badges. I decided to attend YALSA 101 again this year to brush up on what is offered in my YALSA membership and learn where I could volunteer my services. Speaking of selection versus award committees, I have some clarification. Juries select grant or award winners, like the Great Books Giveaway. Selection committees are the book committees that select specific media and booklists such as Great Graphic Novels for Teens or Quick Picks for Reluctant Young Adult Readers. Book committee members are responsible for obtaining review copies, but many are provided by publishers or shared by committee members. Selection committees usually have a two-year commitment. Being a selection committee administrative assistant, the person who distributes the nomination lists, organizes the committee and acts as its secretary, is a lot of work. However, it can be a foot in the door to join a selection committee. 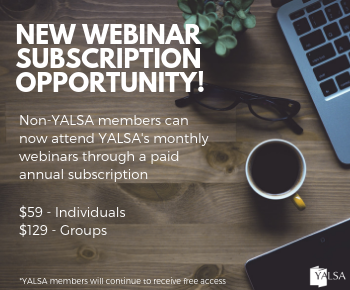 Strategic committees run the business of YALSA. 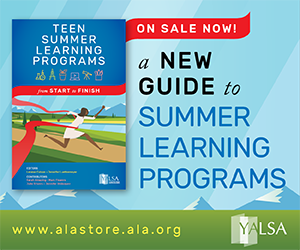 Strategic committees carry out many roles like planning Teen Read Week and Teen Tech Week, membership recruitment, running The Hub and YALSA Blog, and more. Except for the Executive Committee, all strategic committees meet virtually, with no requirements to attend conferences. Most strategic committee appointments last for one year. One topic of YALSA 101 was advocacy. I did not realize how many options there are to easily approach our legislators to advocate for libraries. I can participate in National Library Legislative Day by going to the offices of my legislators in my state or Washington, D.C. I can tweet or email them if I am unable to travel and I can do this anytime I want to. One idea I came away with is inviting a local politician who is a stakeholder such as a school superintendent, town selectman, or school board member to come be “Librarian for Day” so they can see my job in action. I had forgotten about YALSA’s YouTube channel. 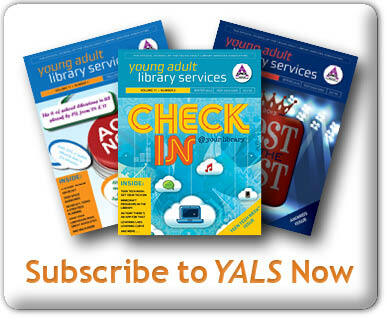 YALSA Academy has a series of short, five minute long videos for training or inspiration. You can take a quick break and get ideas for maker spaces, coding, Twitter basics, or starting a mock Printz award program. 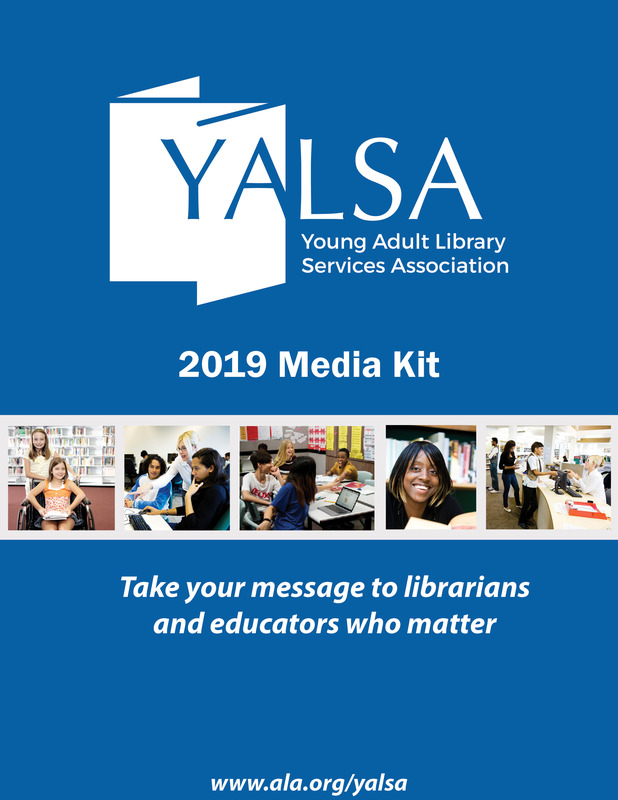 Any librarian can create a video for YALSA Academy, so think about showing off something you do for summer learning/reading, Teen Read Week or Teen Tech Week. As a brand new feature, the YouTube channel also has “snack break” videos that are about fifteen minutes long. These videos give guidance on partnering with a local museum or assessing program impact. Do you have a favorite Tweet from the past week? If so add it in the comments for this post. Or, if you read a Twitter post between January 1 and January 7 that you think is a must for the next Tweets of the Week send a direct or @ message to lbraun2000 on Twitter. Do you have a favorite Tweet from the past week? If so add it in the comments for this post. Or, if you read a Twitter post between December 4 and December 10 that you think is a must for the next Tweets of the Week send a direct or @ message to lbraun2000 on Twitter.